Mount Bromo Tour and Kali Pedati Waterfall Package, Mount Bromo Ijen Crater Tour Package 3 Days, Bromo Tour Package, Bromo Tour, Ijen Tour, Ijen Crater Tour, Bromo Ijen Tour Price, Ijen Tour Package. 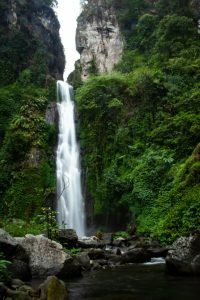 Kali Pedati Waterfall has a height of about 20 m and is still in the Bremi Tourism Area on the slopes of Mount Argopuro. The existence of a waterfall above (towards upstream) Darungan Waterfall with a larger and higher flow of air flow. Other package can combine with other beautiful waterfall such as Madakaripura waterfall. Detail combine package you can contact us. Diposkan dalam Mt Bromo Sunrise Tour 2D1N dan dilabeli Bromo Tour Package Kali Pedati Waterfall, Mount Bromo and waterfall Package, Mount Bromo Tour and Kali Pedati Waterfall Package, mount bromo tour package. Markahi permalink.